I will publish your written article on Bloglovin.com with a dofollow backlink to your website, using a natural anchor text. Also I will review before publishing. And please check my "add extra" service if you want me to write the articles. I will do analyze your website and industry in order to write a highly engaging, innovative article. I am a professional writer, so you can expect the article to be of utmost quality, with a unique angle to the topic. Afterwards, I will pitch the article to “Bloglovin.com” editors where they'll be likely to accept it. If I fail to get the link, I will refund you 100%. Dofollow backlink back to your website. I cannot accept Illegal content. If you have any questions, feel free to contact me and I'll be glad to help. 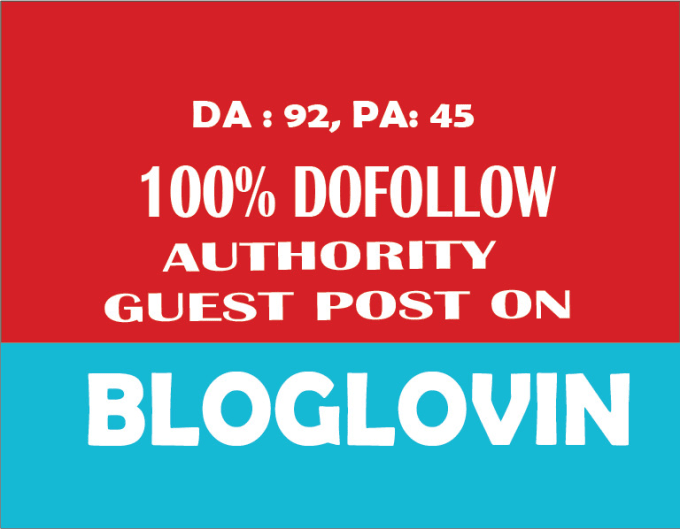 Publish a dofollow Guest Post On bloglovin DA90 is ranked 5 out of 5. Based on 3 user reviews.